Since the 1940s, researchers have used the Draize rabbit skin test to determine the potential of a particular chemical to irritate human skin. In the Draize skin test, researchers shave a patch of the rabbit’s fur, apply the test substance and monitor the skin for up to 4 hours, and then monitor the skin for 14 days to look for signs of irritation or soreness. An organization known as the Globally Harmonized System of Classification and Labeling of Chemicals (GHS) will classify a substance as an irritant if the chemical causes reversible damage to the skin, or as a corrosive if it burns the skin or causes permanent scarring. Fortunately, we live in a time where there are better alternatives to using animals to predict skin irritation in people. Today, these alternatives include cell tissue and test tube methods. Cell tissue and test tube methods accomplish similar goals – they both replace the use of animals in skin irritation testing. Tests using cell tissue and test tubes provide quantitative results, which means the results are reported in a reliable, scientific way rather than relying on one person’s interpretation of how the animal’s skin looked. Cell skin tissue comes from normal human skin. Scientists culture the human cells in specialized media, where the cells form a 3-dimensional reconstruction of real human skin. This test skin closely resembles normal human skin both biochemically and structurally, consisting of multiple layers of cells. This tissue even has the layer of dead cells on its surface, known as the stratum corneum, which creates a protective barrier from irritants and corrosive substances. These properties make cell tissue suitable for use in irritation and toxicity tests. Research shows that test tissue grown in the lab performs better than rabbit testing when it comes to predicting which substances will irritate human skin. In one study, researchers used cell skin to test 16 chemicals classified as irritants using the rabbit model and found that only five of the chemicals actually irritated human skin. Superior test results means that manufacturers can bring more products to the market with less risk of causing irritation to consumers. Test tube methods, also known as in vitro tests, use glass vials and other scientific equipment to test a chemical’s irritancy and corrosive potential to human skin. These methods produce reliable, verifiable results that help researchers distinguish irritating ingredients from non-irritating and non-corrosive ingredients without cruel experiments using animals. 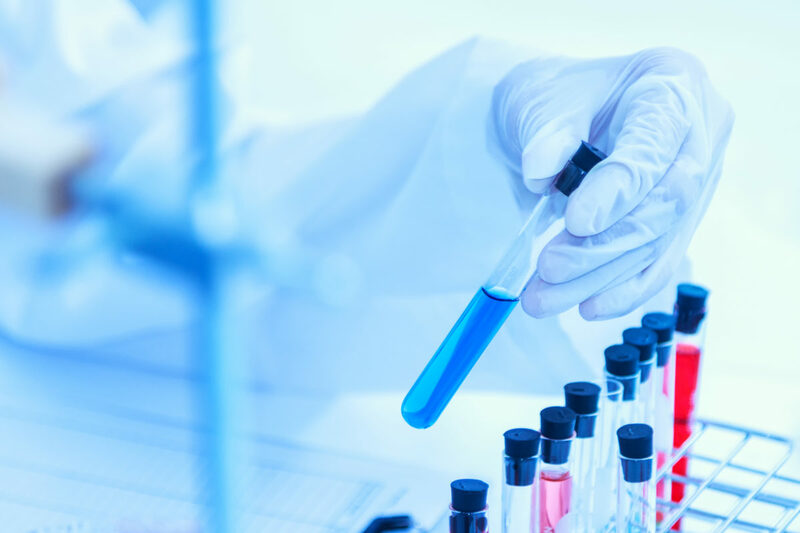 In vitro test tube methods typically involve mixing the chemical in question together with other solvents inside a glass test tube; the resulting solution will turn a specific color according to its potential for causing irritation. Test tube methods can replace the rabbit test when measuring a chemical’s corrosiveness to human skin by providing a reliable means of mimicking the rabbit test. Such methods can help researchers distinguish toxic from non-toxic chemicals without cruel experiments using animals. Unlike animal testing methods that can take 4 to 8 weeks for results, test tube methods provide results in a much shorter time – usually just a few minutes up to an hours. Research shows they can be more accurate than rabbit testing too. Cell tissue grown in the lab and test tube methods provide better results when predicting skin irritation and corrosion in humans. These tests can also save thousands of rabbits from painful irritation and skin corrosion tests each year.